Whether you are downsizing or building the home of your dreams, you still have to sell your old house before making the big move. With careful planning and help from real estate agents and professional cleaners, you can send buyers rushing to make an offer. Buyers in today’s market are searching for a home they can picture themselves living in. If you aren’t prepared, a potential sale could slip through the cracks in your drywall. Use our tips and checklist to make sure your home looks pristine and wows everyone who walks through the door. Staging is often the missing key that buyers need to make your old home their new one. You’ll want to keep elements that make this home feel “lived-in” yet clean enough to attract potential buyers. Effectively staging your home should highlight eye-catching details for buyers while also giving them ideas for how to best use the space. Add new blankets and throw pillows to the living room. Rearrange furniture in clusters away from the walls. Press placemats and set the table. There is more to listing a home than signing on the dotted line. Follow our tips below to make sure your property is market ready. Any offer placed on your home will be contingent on a home inspection. These are typically done after an offer is accepted, but it’s helpful to know ahead of time what issues will come up – especially if you want to knock a few off the list. 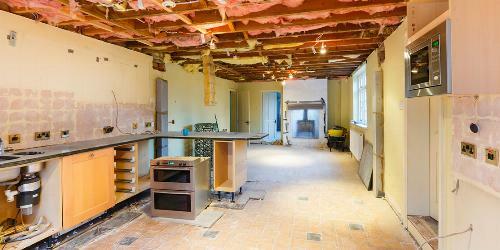 If there is major damage or a problem that you are not willing to fix, you can be upfront with buyers. Electrical issues and uncapped live wires. Improperly installed shingles, siding or flashing. Defects in the home heating and cooling systems. Severe cracks or uneven surfaces in the driveway and walkway. Save the final selection until after you have completed your home improvement projects, but interviewing agents now can provide valuable insight into the current housing market. Use them as a resource for what should be changed and updated to ensure top dollar from your sale. What are current real estate trends? Is the local market trending up or down? What would they highlight about your home? What would they like to see change? How impactful would it be to make major home changes? What is the average time a home sits on the market during this time of year? Tear out overgrown and overbearing hedges, create clean edge lines, plant flowers and put down a new layer of mulch. Blasting off dirt and grime before officially listing your home will do wonders for your curb appeal. If your home appears dirty from the outside, it could cause concern that your interior is just as messy. To properly prepare your home to sell, you should power wash before the professional photographer takes pictures of your home, as well as before an open house. This goes hand in hand with staging your home to sell. Potential buyers need to envision what their belongings will look like in this space, not yours. Take down family photos, monogrammed decor and your favorite knickknacks. Anything that you don’t need (temporarily) has to go. Organization is the key to making buyers believe that all of their belongings will fit and make the rooms in your house look larger. Don’t forget about organizing drawers and closets. Buyers can be nosy and will open up closet doors and even snoop through drawers in built-ins and the kitchen. Purchase uniform hangers and hang clothes facing the same way. Line up shoes on the shoe rack. Neatly stack dishes and Tupperware in kitchen cabinets. Line up glassware to appear uniform. Vacuuming on the weekends and an occasional dusting are not going to help your home sell. Hiring professional cleaners who will scrub scuff-marks from baseboards and meticulously get dust from the top of your windowsills can make your home shine all the way to the bank. You probably don’t even think about the small scratch in drywall or a hole left from a disobedient holiday decoration, but buyers might. Fill in holes in the walls and repair drywall where there is excessive damage. Focus on the high traffic areas of your home first, and be sure to take a look at how much wear and tear doorknobs are showing – if they are scratched, add them to the replacement list. Update faucets and bathroom hardware. Realign doors and don't close properly. 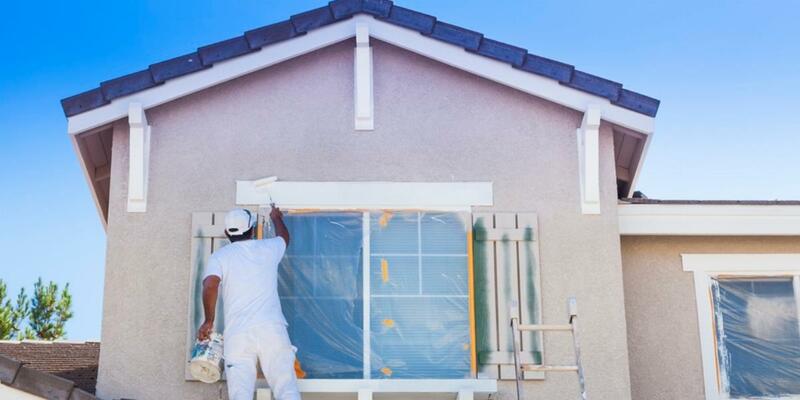 Repainting the inside of your home hides imperfections and improves the appeal for potential buyers. While a lime-green laundry room may create an energetic atmosphere for you, it can be overwhelming to others. In order to appeal to a wide range of buyers, stick to neutral colors. The Best Way to Prep Your Home to Sell? Make It Inviting. Buyers want to feel right at home from the minute they walk through the door. Purchase a welcome mat, hang a wreath, make them feel comfortable and wait for the offers to roll in. Is now the best time to sell your home? Find out if you should list your home tomorrow, or save it for a few months down the road. 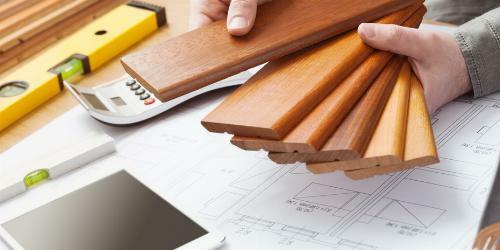 Planning a home remodel can seem stressful. From picking the project to selecting the finishing touches, there are plenty of pitfalls along the way. Here’s how to avoid them.